I come here truly humble to ask the pros help for my problem. Very recently i stat learning the music and i signup for SmartMusic because i fell in love with it and the features and easynes to learn my instrument and practice. As my main goal is to play in the church, i decided to create the musics from the church hymn book into smart music so i could use that to study the hymns too. When i create just a small part of the music and export to smart music, everything worked great and i could study my trumpet fine. 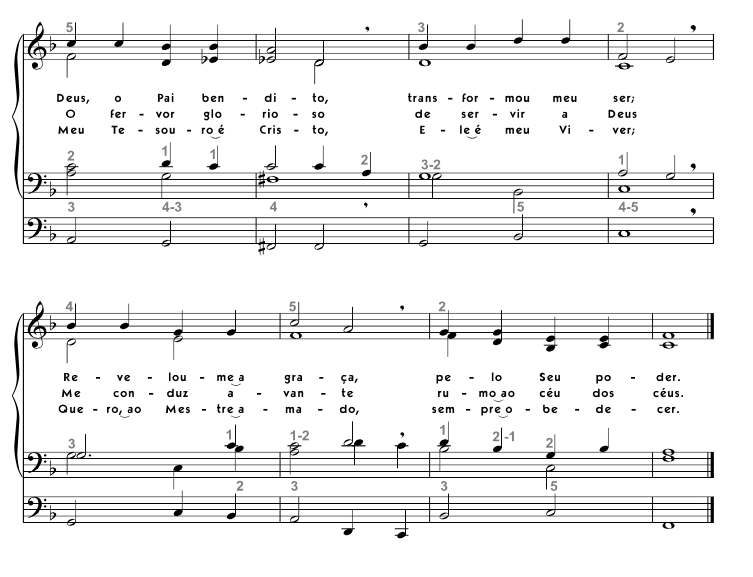 Later i decided to create the entire music and not only my part so i could study following the accompaniments from the other voices too, however something is now working the way i created the score using a hymn template from finale 2014 and when i try to export to smart music it would not show me any part and i can't get it figure it out to fix the issue. I added here the .XML file from the score i created and a PDF with the music form the book with the hope someone could take that and help me to fix it so i can get it inside the smart music. One thing i notice is that if i chose to export as one instrument (flute) for instance than it works but i would like to have each instrument paying its part to create a nice accompaniment for my smart music practice. You will notice each staff has two layers for the different instrument voices on soprano, contralto, tenor and bass. Maybe its the template, maybe its something else but i can't get it to smart music. i hope i can get a good soul to help out. any help would be really appreciated. 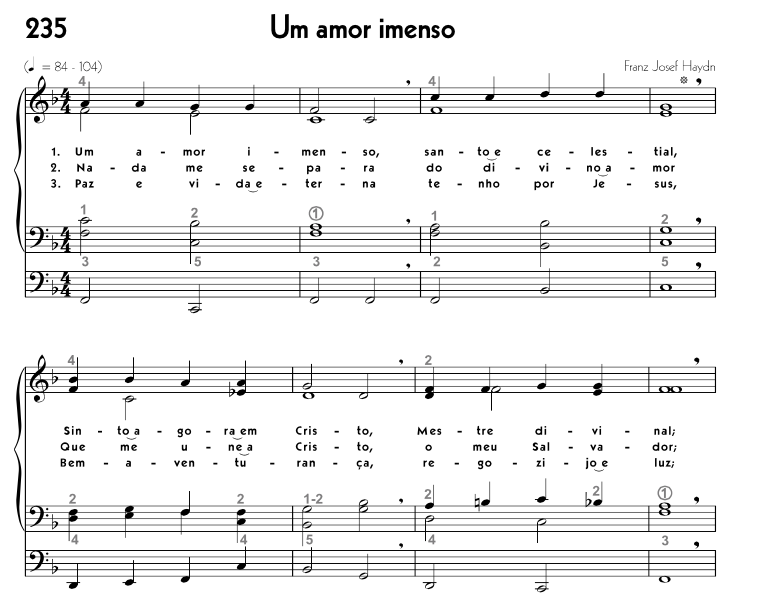 Ahh, don't bother about the lyrics and portuguese on the music PDF, i am just interested on the music part. This image has been viewed 162 time(s). This file has been downloaded 444 time(s).